As a lawyer who prepares a lot of Wills and Trusts, I frequently meet with prospective clients who are unsure if a Will or a revocable living trust (or “RLT”) would best meet their needs. Typically a well drafted Will would suffice because the actual number of people in Texas that actually “need” an RLT are very few. However, there are several specific situations where an RLT can be advantageous when compared to a typical Will. Probate Avoidance: If you transfer all of your assets to the name of your RLT, you can then avoid the need for your family to go through probate when you die. However, if you forget to transfer one asset to the RLT or later buy an asset in your personal name instead of the name of the RLT, you might not be able to avoid probate for that one asset. Out-Of-State Property: Perhaps the most common advantage of the RLT over a Will involves the transfer of property located in another state or country. For example, I have a friend who inherited the family real estate located in Florida. If she simply had a Will, we would need to probate her Will in Texas to transfer her Texas property and again in Florida to transfer the Florida property. However, by transferring her out-of-state property to the RLT, she can avoid probating her Will in Florida. Will Contest: An RLT can provide better protection against a challenge or contest of the Will or the RLT. If you have a Will that has been filed for probate, then a court case is opened in the county courts and it is very easy for someone to challenge the Will in that open court case. It might be as simple as writing a letter to the Judge. If the client had an RLT instead of a Will, there is no need for the Trustee to open a court case at all. 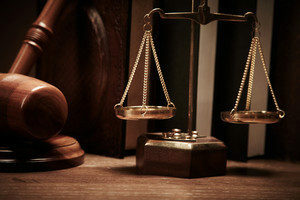 This means that a person wishing to challenge the RLT must jump through more legal hoops and file a lawsuit in the appropriate court to challenge the RLT, which makes it that much harder for him or her fight your wishes. Mobility: For a family that moves from state to state, an RLT offers the benefit of being much more mobile than a Will. An RLT typically has a provision that allows the Trustee to change the applicable law which governs the trust with a simple notice to the Trustee. This provision can be triggered each time the family moves to a new state to change the governing law of the trust match the new state’s laws. Conversely, a Will is more likely to need drastic revisions to comply with the new state’s laws. Management During Disability. With the aging of the baby boomers, more clients need an RLT to assist with management of their assets during a disability. If an aging spouse or an aging parent is losing their ability to manage their own finances, an RLT can be used as an asset management vehicle. The spouse without the disability or an adult child can serve as the Trustee of the RLT and can continue to manage the assets on behalf of the disabled spouse or parent. Dealing with assets in a trust is often easier than dealing with a financial power of attorney. Privacy. The final advantage of RLTs over Wills is the added privacy the RLT provides. 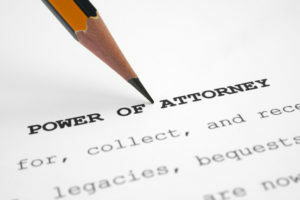 As mentioned above, probating a Will involves opening a court case. The probate process is a very public process. For example, when actors Philip Seymour Hoffman or James Gandolfini died, their respective Wills became the subject of many internet and print articles because it was very easy for reporters to access the probate documents and examine the terms of their Wills. In the case of an RLT, there is no public access to the trust document and so it is much easier for the beneficiaries to remain anonymous. Some of the disadvantages of an RLT as compared to a Will involve the expense and time required to retitle all of the assets into the name of the RLT. Additionally, the client must remain diligent the rest of his or her life whenever acquiring new assets. Any assets purchased in the client’s individual name may cause a probate to become necessary. Finally, I would like to dispel a very common misunderstanding. Many people are under the incorrect assumption that an RLT provides asset protection benefits to them while they are still alive. This is simply not true. In Texas, you cannot create a trust for yourself and receive asset protection benefits. Therefore, when you create an RLT for yourself, your assets in the RLT are not protected from your creditors’ claims. Alternatively, when you die, if the RLT continues for your spouse or for your children, a properly drafted trust created for your spouse and/or children may be eligible for creditor protection. Alan Stroud is Board Certified in Estate Planning and Probate Law by the Texas Board of Legal Specialization and is a resident of MNW Resident. For any questions, please contact him by email at alan.stroud@jrbecklaw.com or by telephone at 281-440-4777. Notice: The contents of this article are intended to convey general information only and not to provide legal advice or opinions. No attorney-client relationship is created hereunder and an attorney should be contacted for advice on specific legal issues.